Determining where to recover from a hospital stay is important and needs to be discussed with the patient, family members, caregivers, and healthcare providers. The location can depend on the family situation, the patient’s’ preferences, or the availability of providers in their area. 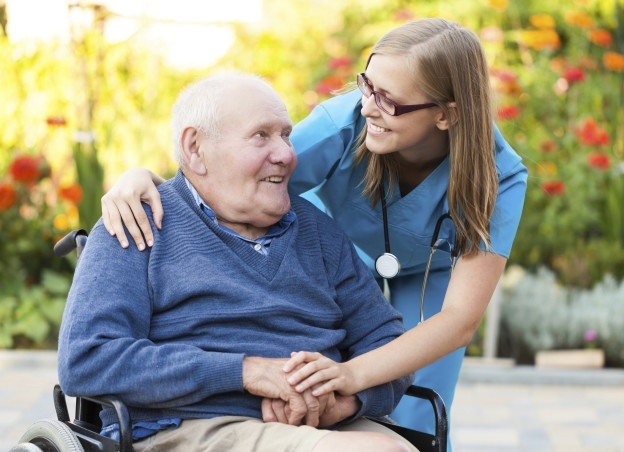 Home Healthcare – services are provided in the comfort of the patient’s home and may include skilled nursing care, rehabilitation therapies, mental health nursing care, hospice, or personal care. For many, services may be covered through Medicare/Medicaid, private insurance or private-pay. Skilled Nursing/Rehabilitation Facilities – when a patient requires 24-hour nursing care or assistance, skilled facilities offer another option for patients and their family caregivers. Care is often covered through Medicare for up to a certain amount of time. Care at Assisted Livings – In many cases, home healthcare providers can deliver services to patients living in an assisted living environment. Assisted living staff can offer assistance with activities of daily living, while home health providers can provide skilled services. It is important that patients and families decide on the best location for their individual needs and wants. Comprehensive services can be geared to meet each patient where they are, with the goals they have in mind. What services can be provided at each location? Is there anyone to help my loved with tasks of daily living? Is 24-hour/7-day a week care available? If I cannot be there, who will ensure that my loved one is taking their medications and adhering to the doctor’s plan of care? How can we receive the needed medical equipment for their recovery process? If your loved one is being discharged from the hospital, Visiting Nurse Association of Ohio is available to discuss the benefits of providing healthcare services in the home. With a team of nurses, therapists, home health aides, social workers, counselors, and doctors, VNA of Ohio is available to meet you and your family’s comprehensive needs.